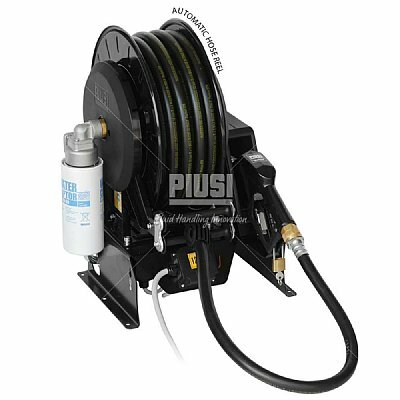 Dispenser unit with automatic hose reel. 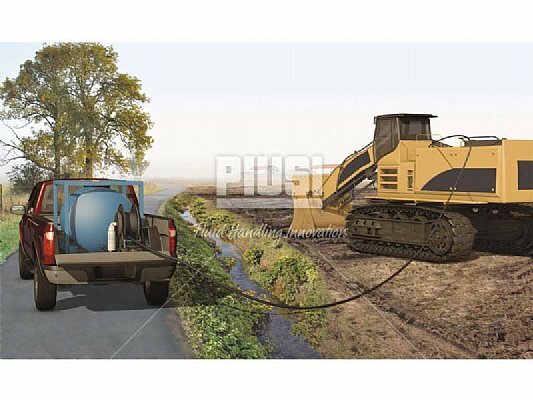 The 14 metres of hose with automatic nozzle allows dispensing up to 45 l/min with DC power supply. - All equipment assembled within a sturdy support structure for easy installation to truck, trailer or other fuelling system.